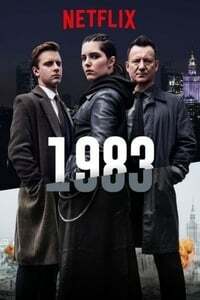 A dark Polish thriller that imagines an alternative history where a terrorist bombing in 1983 dramatically altered the course of world events. Twenty years later, the USSR and Iron Curtain still exist, Al Gore is US president, and Poland is ruled by an authoritarian government. Naïve law student Kajetan and world-weary detective Anatol uncover a conspiracy that has been kept hidden for decades. Available on US and UK Netflix currently. I recommend watching in Polish with English subtitles if possible, apparently the English dub is not that great. Well acted, well written, and the most consistently-interesting show I've watched this year. Often when I'm streaming shows I end up fast-forwarding boring character-development stuff or flashbacks or anything that feels like filler, but there was zero of that here. The ending lacked a bit of resolution (but weirdly wasn't cliff-hanger-y enough to qualify as a cliff-hanger for me), but that just means I'm looking forward to the second season. This is an enjoyable show! We are only three eps in, and it is feeling like it’s not following the usual narrative track. Thanks for posting it, EndsOfInvention! It has some twists and turns and not the obvious ones you think you see coming. Or I didn't see them coming, at least. Just binge watched this, it was great. Would love to discuss in detail, but I think that is impossible without massive amounts of spoilers. Even by the end I still have lots of questions and am not sure if I fully understand what happened exactly. I think the ending isn't so much a cliff-hanger, so much as setting up enough groundwork for a season 2. Spoilers are fine in Fanfare, especially in an entire-season thread. Spoil away!